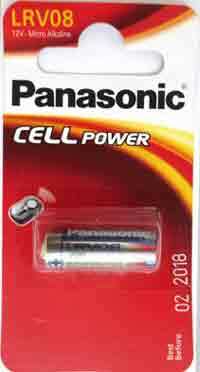 LRV08 12V Panasonic Power Cell Alkaline Battery. Replacement Batteries. L1028 Vinnic 12V Long Life Alkaline Battery for Lighter and Car key fobs Batteries. 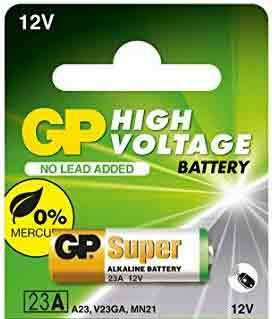 23AE GP High Voltage 12V Alkaline Battery for Lighter and Car Key fobs Batteries. 11A Replacement Battery 6V Alkaline equipment to G11A,/ MN11,/ G, Batteries. 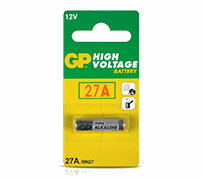 27A Replacements for12V CA22 / A27 / MN27 / GP27A / L828 / EL-8, Alkaline Batteries. 1412AP 6V Replacements fo 7K67, 539, 867, RJ, KJ, J, 4018, GP141, Alkaline Batteries. 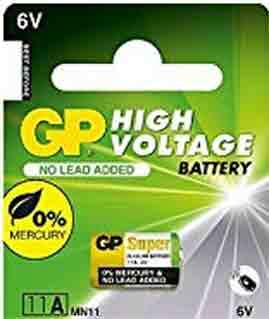 GP 10A 9V alkaline battery. Replacements for 10A, E10A, GP-10A, Batteries.